The beginning of the women’s movement in America can be marked by the Seneca Falls Convention in July 1848. 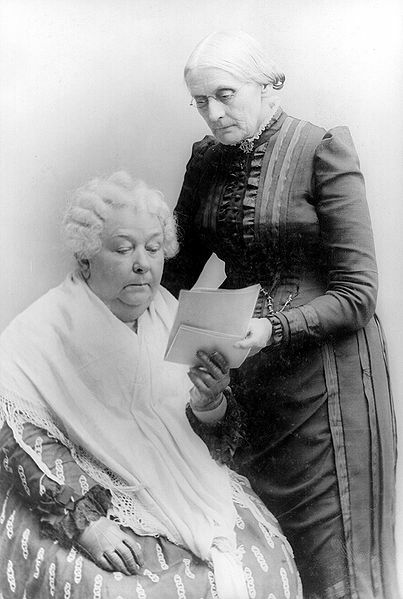 During this convention, activists such as Elizabeth Cady Stanton and Lucretia Mott fought for women’s right to vote in the United States, a privilege that was reserved for white males at the time. Stanton and Mott’s movement transformed into something much larger when Lucy Stone organized the National Women’s Rights Convention just a few years later, and soon, the now-famous Susan B. Anthony joined the cause. Although there were individual state victories for women, it wasn’t until 1920 that the 19th amendment was added to the constitution, prohibiting the government from implementing gender-based restrictions on voting. Women’s Suffrage– First-wave feminists were fighting for women’s right to vote. The women’s suffrage movement was in alignment with the Black Suffrage and the Abolitionist movement, due to the similiar goals of equality. Elizabeth Cady Stanton– Avid suffragist and abolitionist. She is credited with being one of the first women’s rights activists. Together with Lucretia Mott and several other quaker women, Stanton initiated the Seneca Falls Convention of 1848, for which Stanton also drafted the Declaration of Sentiments. Stanton died in 1902, about 18 years before woman legally gained the right to vote. Lucretia Mott-Mott was a major female leader in the abolitionist movement. She was one of six women delegates chosen to attend the 1840 World’s Anti-Slavery Convention in England. She worked with other abolitionist leaders, such as Frederick Douglass, and was recognized for her women’s rights work through her election as the first president of the Equal Rights Association in May 1866. She worked with Stanton to create the Seneca Falls Convention. Lucy Stone– Important abolitionist and supporter of the women’s suffrage movement in the U.S. Stone is also recognized for keeping her own last name (Stone) after marriage, something that was unheard of in the 19th century. Susan B. Anthony– Strong supporter of temperance, women’s suffrage and the abolitionist movement. She believed that women needed a political voice if they were ever to influence public affairs. Her dedication to the temperance movement, along with her feelings that she was unable to truly make a difference without having a vote, led to her involvement in the suffrage movement. She met Stanton in 1851 and soon after began attending women’s rights conventions. 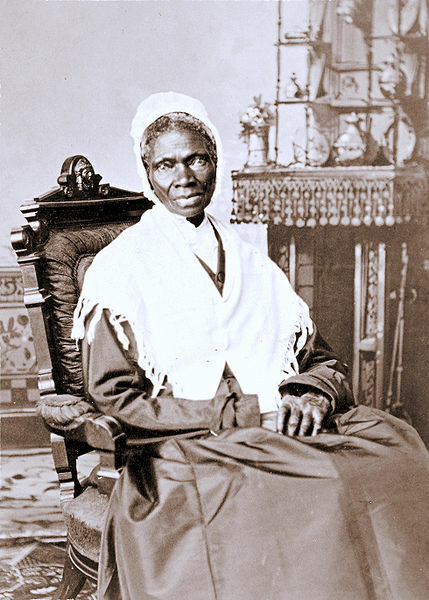 Sojourner Truth– Female slave in the early 19th century. She had been sold multiple times and lived in NY state. Sojourner was devoutly religious and a strong supporter of both women’s suffrage and abolition of slavery. She was known to be a powerful speaker, her speech Ain’t I a Woman? likely being her most famous. Mary Ann M’Clintock-Devout Quaker living in Pennsylvania. Along with Lucretia Mott, M’Clintock was one of the founding members of the Philadelphia Female Anti-Slavery Society.